In a past life, Bill Magill was Rowdy Doody of the cult power pop band Tina Peel, who featured Fuzztones members among their number. Jump forward to 2018 and the former Mr Doody is one of the most cultured singer-songwriters you could ever meet, marrying his Tim Buckley-esque tremulous vocals with stunning instrumentation and lyrics and melodies which fall over themselves to clutch at your heart. Now based in Aix-en-Provence, Magill has assembled musicians from France, Britain, America and Australia to make his narratives become a reality, each of them imbuing their native influences on the tracks. Last Night at the Ha-Ra Bar is an album which will stay with you long after the glasses have been cleared away and the old regulars have set off home – it’s an experience you’ll return to again and again. Last Night at the Ha-Ra is a rock drama about regulars gathered at their favourite bar – their mad passions, pains, flaws and dreams, all told with worldly-wise humour and candour. These are characters whom you might find in the classic Tom Waits albums of the early 70s or dusky Edward Hopper paintings. They are real people with real stories, from triumphant last hurrahs to one of the most affecting tracks, “Strange”, sung by a man in the early stages of Alzheimer’s, and asking his loving wife to help him end it when the final chapter of his battle is reached. 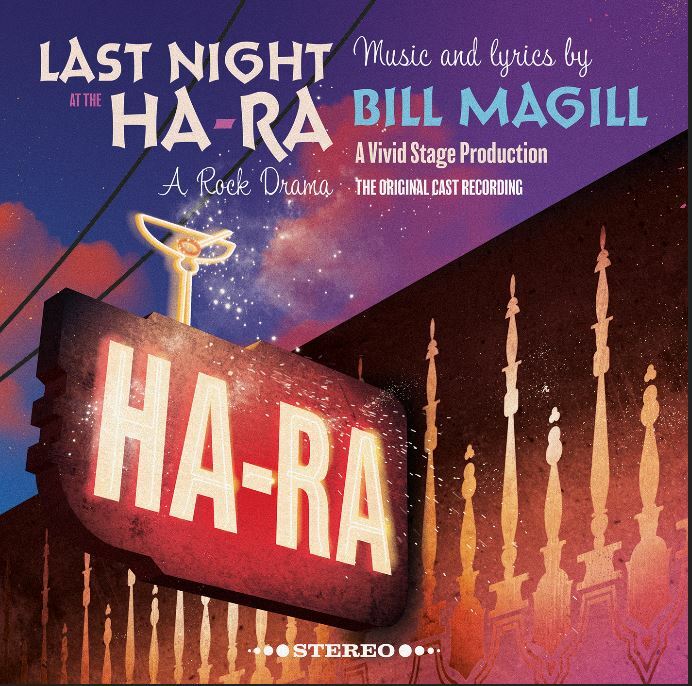 The songs are by turn grand gestures and flippant remarks, reflective of the Rodgers and Hammerstein and Leonard Bernstein musicals that have had such a great influence on Magill. Last Night at the Ha-Ra features Pete Thomas, drummer for Elvis Costello and the Attractions and Daniel Mille, the award-winning French accordionist, Jon Fellowes on guitar as well as Magill’s core band The Vivid Stage and a host of invited guests. Theatrical, poignant and utterly beguiling, it is one of the best albums you’ll hear all year.